All parts of quadcopter will be hold on the frame, First , you can decide as to which frame should take? Then, look at the recommended setup of frame to buy other parts. Generally speaking, from 180 mm to 250 mm is most popular frames, more bigger one is from 280 mm to 800 mm even more. 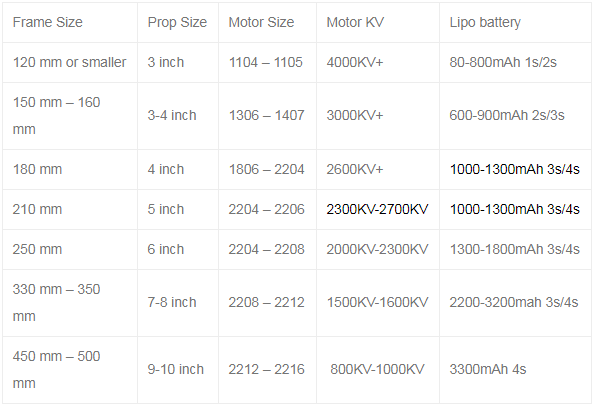 The 1806/2x00 KV segment motor can actually also be used with 150~160mm grade of frame.